Medical oncologist, Ajay Tadepalli, MD, joins Winship's community oncology team at Emory Johns Creek Hospital. Winship Cancer Institute of Emory University has added a new oncologist and hematologist at Emory Johns Creek Hospital (EJCH). Ajay Tadepalli, MD, joins Cletus Arciero, MD; Bruce Goldsweig, MD; Noreen Khan, MD; Terrah Paul-Olson, MD; Maria Piraner, MD; Seth Rosen, MD; Manu Sancheti, MD; Stephen Szabo, MD; and Meena Thirunavu, MD. 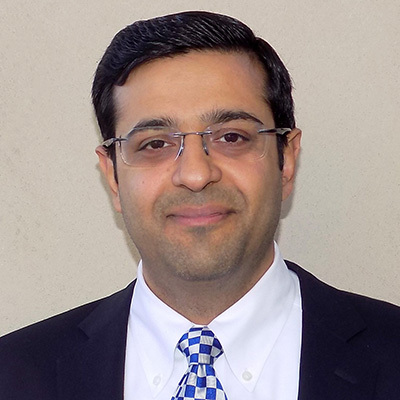 Tadepalli is a board-certified medical oncologist and hematologist and assistant professor, Department of Hematology and Medical Oncology at Emory University School of Medicine. He treats oncology patients at EJCH and The Emory Clinic at Buford. Prior to joining Emory in 2017, Tadepalli was part of the medical oncology team at Lewis and Faye Manderson Cancer Center in Tuscaloosa, Alabama where he was an MD Anderson-certified physician during his tenure. "We're delighted to welcome Dr. Tadepalli to the team and confident that he will deliver top-notch care to Winship patients in Johns Creek and surrounding communities," says Stephen Szabo, MD, director, Division of Community Oncology, Department of Hematology and Medical Oncology, Emory University School of Medicine. Tadepalli says he looks forward to working with patients to meet their health care needs. He treats a variety of cancers including breast, cervical, colorectal, esophageal, leukemia, lung, lymphoma, melanoma, multiple myeloma, ovarian, pancreatic, stomach, uterine and blood disorders.